Some banners look professional, but they’re a bit complex, which means they take up a lot of space or they take a bit of time to set up. 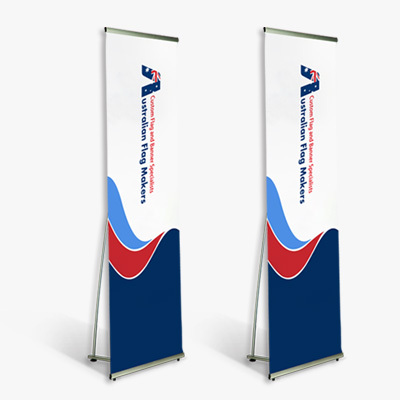 If you’re looking for simplicity in a banner, as well as one that takes up very little space, choose the L banner. Because our L banners are so versatile, they can be used nearly anywhere. 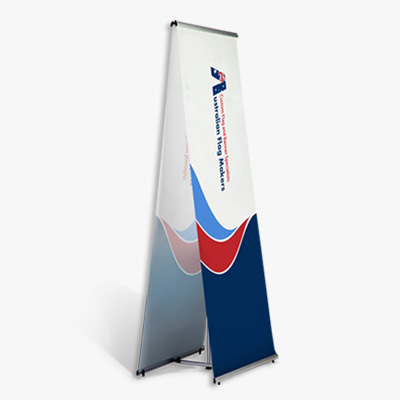 Catch the attention of people passing by your booth at a trade show, lure people into your store by placing it outside your retail space, or bring along an L banner to your next conference. L banners can be used anywhere you can imagine, but if you’re looking for extra impact, try placing your banner in an aisle, doorway, or next to a table. 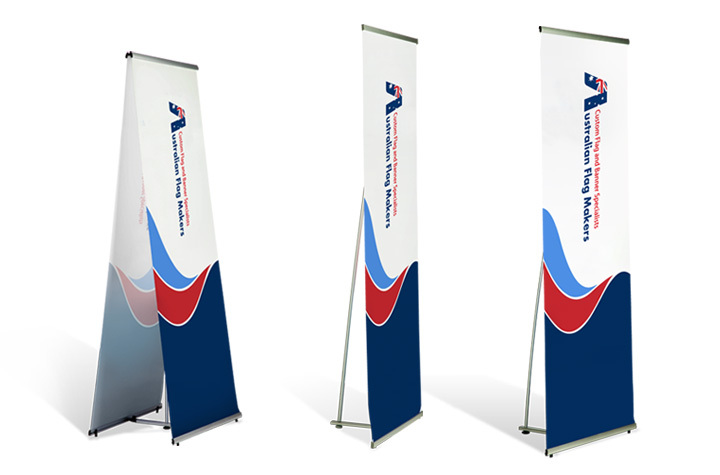 At Australian Flag Makers, we partner with you to create a unique banner that is sure to get noticed. It all starts with your choice of L banner. 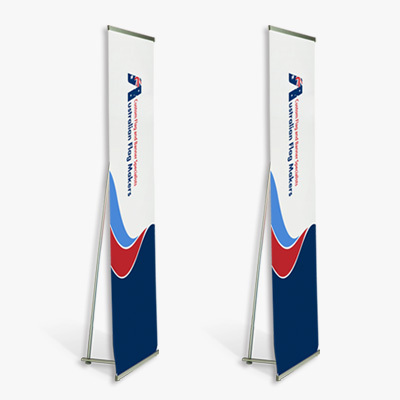 The simplest one is banner A, while the double sided banner allows people coming and going to see your logo. Then, it’s about creating or printing your design or logo on your brand new L banner. It will be printed on durable Tarpaulin. If you aren’t sure what to put on your new banner, let us know. We’ll create a custom design just for you! No order is too big or small! Contact us to start designing your custom L banner today!